We would like to showcase Dream Day Photography’s website designed by our website design team in collaboration with wedding photographer Grant McKelvie; it’s a great example of simple, elegant design with a slight masculine edge. When looking at Dream Day Photography’s website the colour scheme chosen by Grant McKelvie is one of the first things you may notice. The black, white and burgundy scheme could be seen as overly masculine but instead they have been used to perfectly compliment the dramatic image on the home page to create a striking effect. This simple style also proves that all the wow-factor comes from Grant’s pictures. All the information that a potential client may need is clearly laid out. 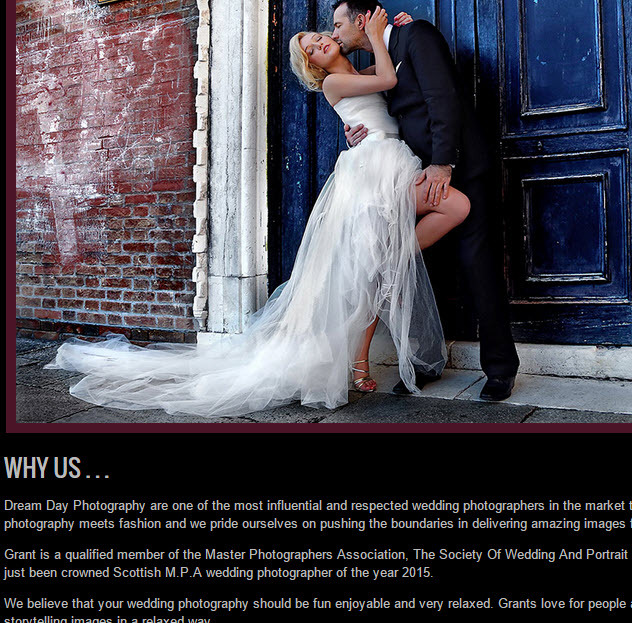 There is a great description about Grant and his business, starting prices and contact details. It’s great for the client as they can find out the majority of information before making contact as well as for the photographer as it cuts out any inappropriate enquiries. 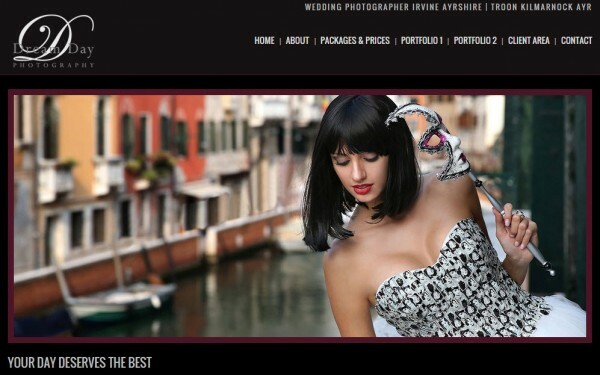 Dream Day Photography’s awards and nominations are shown in the footer of the website, proving his qualifications and professionalism to any potential client. To see more of Grant McKelvie check out his website and follow him on Facebook! Focus On… Grant McKelvie! Focus On…Sarah Gawler! Focus On…Rebecca Northway! Featured Website: Philip Lord Photography!